The COAST Project is a five-year project in its fourth year of implementation. 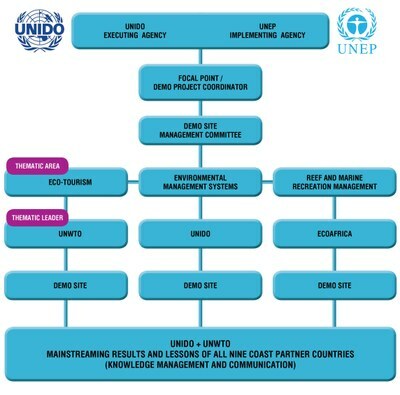 It is a Global Environment Facility (GEF) funded project with the United Nations Environment Programme (UNEP) as the implementing agency; UNIDO as executing agency in partnership with the United Nations World Tourism Organization (UNWTO). The COAST Project is being implemented in nine sub-Saharan African countries (Cameroon, The Gambia, Ghana, Kenya, Mozambique, Nigeria, Senegal, Seychelles and Tanzania). 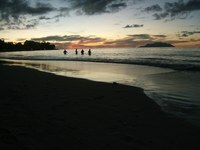 The project was developed with an aim of reducing the harmful impacts of sustainable tourism practices to the coastal ecosystems.The overall Goal of the COAST Project is to “support and enhance the conservation of globally significant coastal and marine ecosystems and associated biodiversity in Sub-Saharan Africa, through the reduction of the negative environmental impacts which they receive as a result of coastal tourism.” The Objective of the COAST Project is to “demonstrate and support the adoption of best practice strategies for sustainable tourism to reduce the degradation of marine and coastal environments of trans-boundary significance”. National and local mechanisms supporting sustainable tourism governance and management identified and enhanced to facilitate uptake of BAPs/BATs. 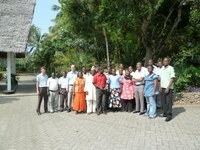 The COAST Project covers nine countries in West and East Africa (Cameroon, The Gambia, Ghana, Kenya, Mozambique, Nigeria, Senegal, Seychelles and Tanzania). 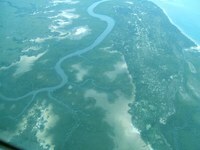 The COAST Demonstration Sites in these countries are found in Batanga, Cameroon; Ada Estuary, Ghana; Kartong, Gambia; Badagry, Nigeria; Saly, Senegal; Watamu, Kenya; Inhambane, Mozambique; and Bagamoyo, Tanzania. 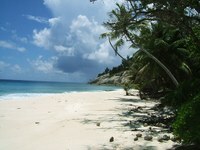 Seychelles is the only COAST Country without a Demos Site since it has already received Seychelles Sustainable Tourism Label (SSTL) labeling status, and hence its COAST activities entail sharing emerging best practices and lessons with the other countries. Each demonstration project intervention in the COAST Demos Site is based around the three themes of Environmental Management Systems (EMS), Eco-tourism and Reef & Marine Recreation Management (RMRM). In all, the COAST Project has Seven Eco Tourism demonstration sites in seven countries; three RMRM demonstration sites in three countries; and four EMS demo sites in four countries.